While investigating MSIL opcodes a while back, I uncovered a useful opcode - Cpblk. Cpblk is the MSIL equivalent of a memcpy. After writing a .NET method that utilized Cpblk, I immediately thought of a practical use - overwrite a JITed .NET method with shellcode. That way, I could execute shellcode directly without needing to call any Win32 functions. I wrote Invoke-ShellcodeMSIL as an implementation of my idea. For those who are unfamiliar with MSIL. MSIL is Microsoft's implementation of the Common Interface Language or in other words, .NET bytecode. Using reflection or an IL assembler (like ilasm), you can craft .NET methods using raw MSIL opcodes. There is a great introduction to MSIL opcode assembly in "Metaprogramming in .NET." 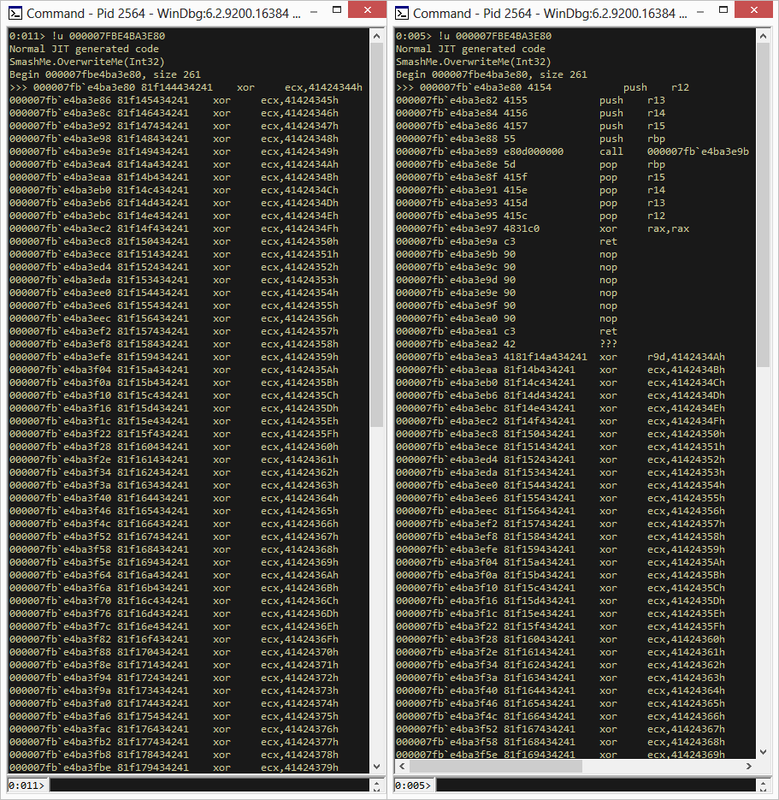 For Invoke-ShellcodeMSIL, I wrote a dummy method that simply XORs an input number 101 times. I chose to use an XOR function because I was confident that it would not be optimized during the JIT process. As a consequence, this dummy method will contain sufficient space for a shellcode buffer. As I've preached continuously, PowerShell is the ideal post-exploitation tool in a Windows environment. A PowerShell-based payload can accomplish the same tasks of any compiled payload all without fear of flagging anti-virus. Unfortunately, PowerShell offers no built in method of persisting your payloads. PowerShell v3 introduced a scheduled tasks module but obviously, this only works with v3 and you're out of luck if you want to persist via any other method. I developed a persistence module for PowerShell that solves the challenges of persisting scripts once and for all. The module adds persistence capabilities to any PowerShell script. Upon persisting, the script will strip out its persistence logic. 1) Drop the 'Persistence' folder into your module directory (usually $Env:HomeDrive$Env:HOMEPATH\Documents\WindowsPowerShell\Modules) or just install the entire PowerSploit module. 9) The payload has now persisted on the target machine. Sit back and let the hilarity ensue.